iDancehallReggae.com::Caribbean Lifestyle Media::: Buju Meeting with Gay Rights Group a photo op? Buju Meeting with Gay Rights Group a photo op? 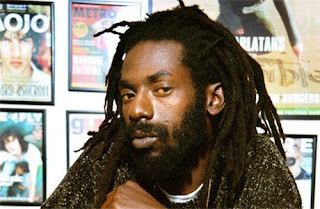 Caribbean Lifestyle Media can confirm that Buju's meeting was not successful in calming pressures from Cancel Buju Banton Boycott. Buju made a step to meet with San Francisco's gay community but photo looked more like a photo op. Michael Petrelis who is sitting to the left of Buju here, clearly states, "[Amendment: We gays who met with Buju yesterday STILL strongly support the boycott against Buju's concerts. We endorse the goals of CancelBujuBanton.]" While Caribbean Lifestyle Media, does not condone violence against any people because of race, creed, or sexuality. The first meeting appears to have no real results for Buju. It is interesting to note that most comments at Michael Petrelis blog do not believe that Buju is sincere and then one is left to question; What was achieved?